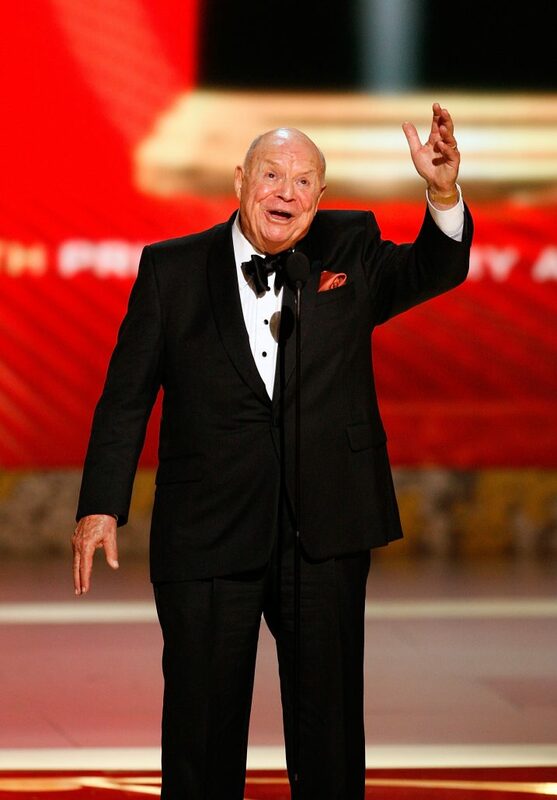 Don Rickles is one of the 20th Century’s most famous funny men. For more than 35 years he has appeared in top showrooms in Atlantic City, Reno Lake Tahoe and Las Vegas, where he currently headlines at the Desert Inn. Rickles is also highly visible on TV, as well as in motion pictures, including recent appearances in Universal Pictures’ “Casino,” directed by Martin Scorsese, appearing with Robert De Niro, Sharon Stone and Joe Pesci, and “Toy Story,” a revolutionary computer animated feature, from Walt Disney Pictures. He is currently in production on two high visibility projects scheduled for 1998 release: the direct-to-video sequel to “Toy Story” and Warner Brothers’ “Quest For Camelot,” and has just completed filming a role in MGM’s “Dirty Work.” Additionally, he has starred in live stage productions and, along the way, has had two best-selling comedy albums. He is regarded among the world’s top entertainers. However — as they say in show business — he “paid his dues” before reaching the top. In 1959, Rickles signed for his first Las Vegas appearance, in the lounge of the Hotel Sahara. He clicked immediately. In 1969, now a “hot” star, Rickles was signed to a new contract to headline in the hotel’s main room, and established himself among that city’s top drawing cards. In December 1971, Rickles moved over to Las Vegas’ Riviera Hotel. Then, in 1977 Rickles returned to the Sahara. Ten Years later, he began a relationship with the Golden Nugget Hotel, followed by appearances at the Stars’ Desert Inn. In 1980 Rickles became the toast of British Society, as a result of an appearance at The Palladium in London, during a fundraising gala. The guest of honor was Princess Margaret, who laughed heartily at Rickles barbs directed at her, as did many other British Theatrical, political, and social leaders when it came their turn to be zinged. Afterwards, the Princess invited Rickles and his wife to her table so that they could become better acquainted. The British Press for days afterwards headlined what Rickles said and did. Offers to make concert appearances in that land have since been pouring in. In 1987 Rickles celebrated his 15th anniversary as a headliner at the Harah Hotels in Reno and Lake Tahoe, where he continued to perform under a long-term contract. 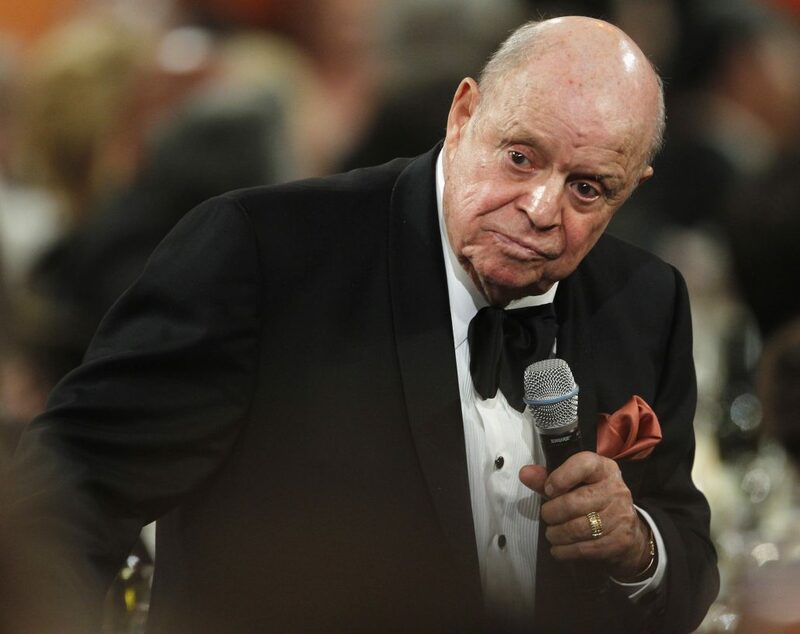 Rickles was also one of the first performers signed to appear in Atlantic City’s new gambling Hotels. In the mid ’60′s, even though he had attained some success in nightclubs, Rickles was far from a national name. He had been working in clubs, and doing television and motion picture acting assignments for more than 15 years before suddenly catapulting to fame during 1966 and 1967. Almost “overnight” he happened — but that “overnight” was years in the making. Although it is difficult to pinpoint the exact moment of his breakthrough, Rickles believes the ball really started rolling on the night of October 7, 1965, during his first appearance on Johnny Carson’s “Tonight Show.” His freewheeling performance that night became the talk of the show business industry and caused nationwide comment among press and public. Until that night Rickles was thought of as “too hot to handle” by television variety show producers. Even though the producers were Rickles’ fans, they didn’t know how to present his aggressive style of humor on their shows because he was an ad-libber, rather than a joke teller with a set stand-up routine. On the “Tonight Show” Rickles showed both the general public and the variety show producers that his ad-libs were original, sharp, caustic, and, in good taste. Until then, Rickles’ TV appearances had been limited to acting assignments on situation comedy and dramatic shows. A fine actor who graduated from the American Academy of Dramatic Arts in New York, Rickles had frequently received rave reviews for his acting ability. But now, the door was open wide for him to appear on TV as a comedian. Since 1966 Don has annually been voted among the nation’s best-dressed men by the Customs Tailors Guild of America and by the Tailors Council of America. Rickles took still another step forward in the spring of 1967. He starred with Ernest Borgnine in a series of West Coast presentations of “The Odd Couple.” He earned critics’ applause for his performance as the neat, shy Felix , and has since been deluged with stage offers. However, to date, he has not been able to find time in his schedule to do another play. The next important breakthrough for Rickles occurred during the summer of 1967. He was signed for his first guest appearance on “The Dean Martin Show” (which aired in September of that year). In signing Rickles, producer Greg Garrison guaranteed him freedom to ad-lib to be himself rather than be restricted by a script. 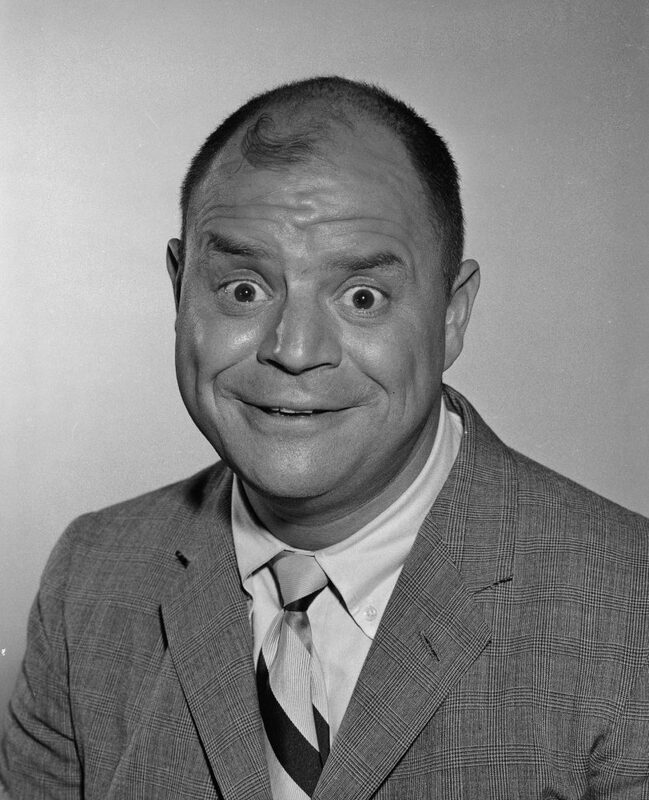 Rickles, in his first guest appearance on a major prime-time variety show, scored a major success. Meanwhile, the public was discovering that behind the sharp Rickles barb was deep affection and love for those whom he seemed to be taunting. Immediately after taping his first appearance on “The Dean Martin Show,” Rickles was signed for a second guest shot on that program. Rickles was now in demand for TV variety shows. The producer of Martin’s show decided to let Rickles do exactly what he does in nightclubs. Celebrities were invited to sit in the audience to become the targets of Rickles “insults.” Rickles did not know as he walked on stage who he’d be confronting. Among others he faced that night were Danny Thomas, Jackie Cooper, Bob Newhart, Lena Horne, Dean Martin, Ernest Borgnine, Don Adams, Ricardo Montalban and Pat Boone. He proceeded to ad-lib for one hour (eventually edited to 20 minutes for the show). For weeks afterwards, people throughout the country repeated Rickles lines. Particularly memorable was his remark as Bob Hope walked into the studio and took a seat. By year’s end all three major networks and every major independent TV producer was besieging Rickles with ideas for a TV series of his own. 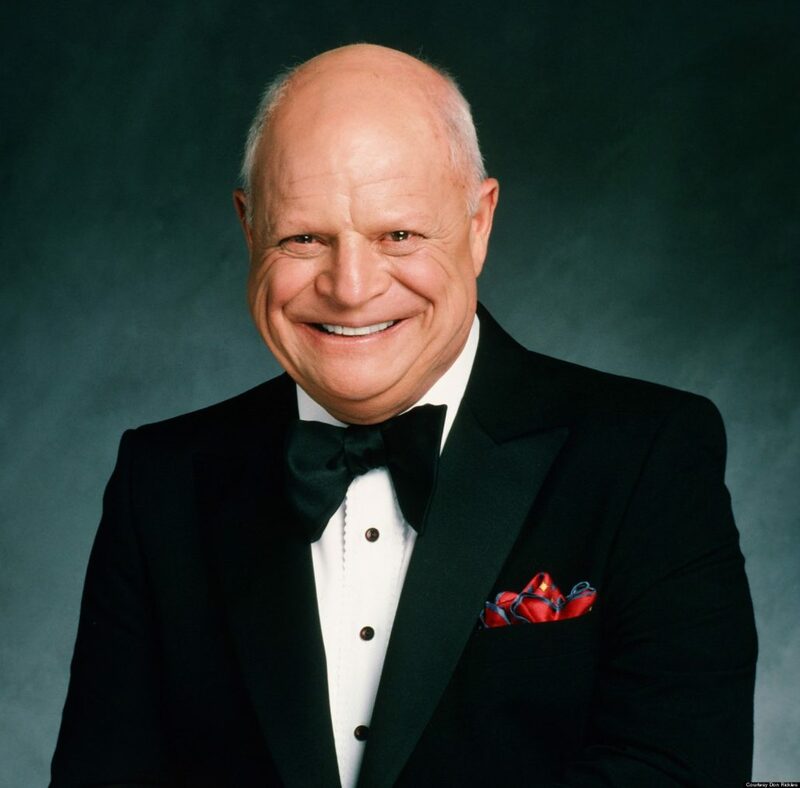 In 1968, “The Don Rickles Show,” was part of ABC-TV’s prime-time schedule. In 1971-72, Don starred in his second series, “The Don Rickles Show,”on CBS, in the role of an advertising executive. He then starred in four specials. 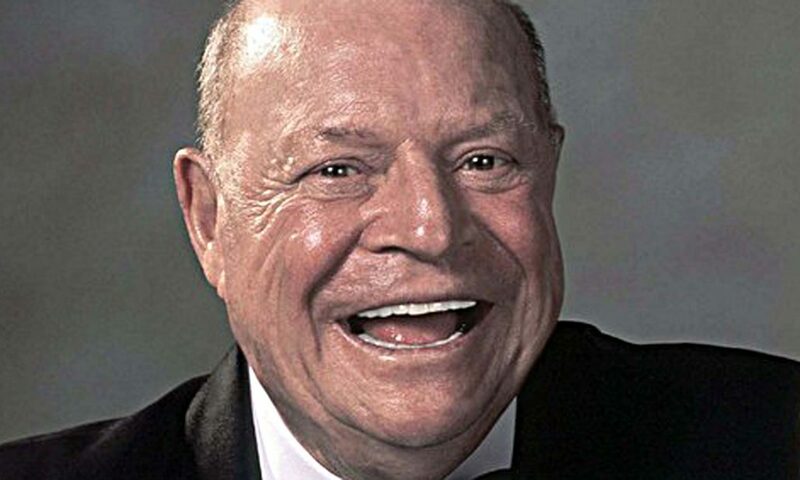 In December of 1972, his “Don Rickles Is Alive and Kicking” special was aired, and achieved one of the highest ratings on CNS that season. In September, 1973 he and Don Adams starred in the NBC special, “A couple of Dons,” which again got one of the highest ratings of that year. 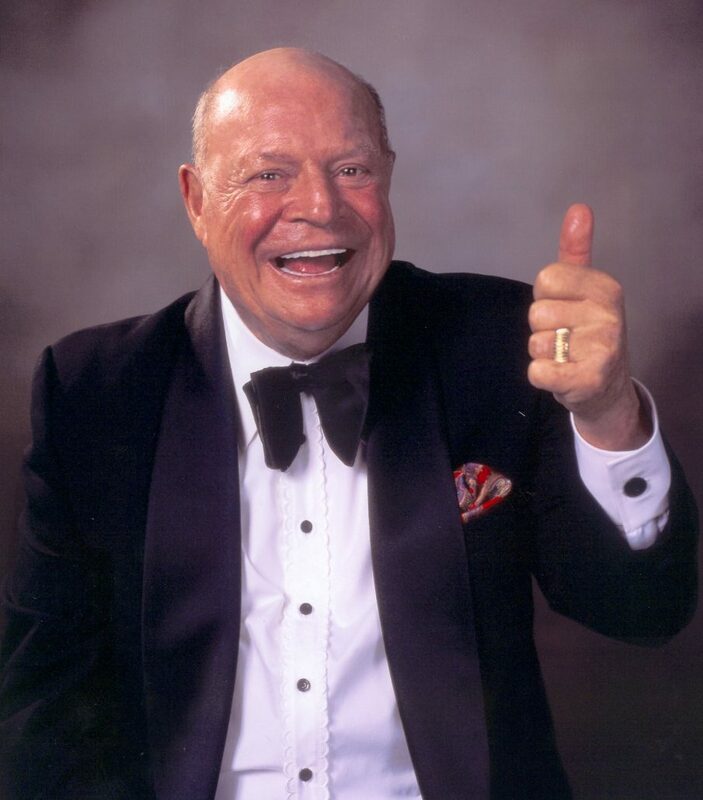 In 1975, CBS aired “The Don Rickles Show” special and his “Rickles” special, both also highly rated. Following these specials, the “C.P.O. Sharkey” series, starring Rickles as a Navy Chief Petty Officer was developed. It aired during 1977 and 1978 on NBC. In the early 80′s Rickles and Steve Lawrence co-hosted a segment of “The Big Show,” and then performed together in concerts. In 1983, the producers of “Foul-Ups, Bleeps and Blunders” signed the duo to co-host the series, which aired in 1983 and 1984 on ABC-TV. Another TV appearance of note came in 1984 when Rickles received one of the highest honors an entertainer can be afforded. He was invited by President Reagan to perform at the televised Inaugural Gala, where he “zinged” the President, the Vice President, the Secretary of State and other of the nation’s dignitaries gathered for the occasion. He has also made his mark in motion pictures. 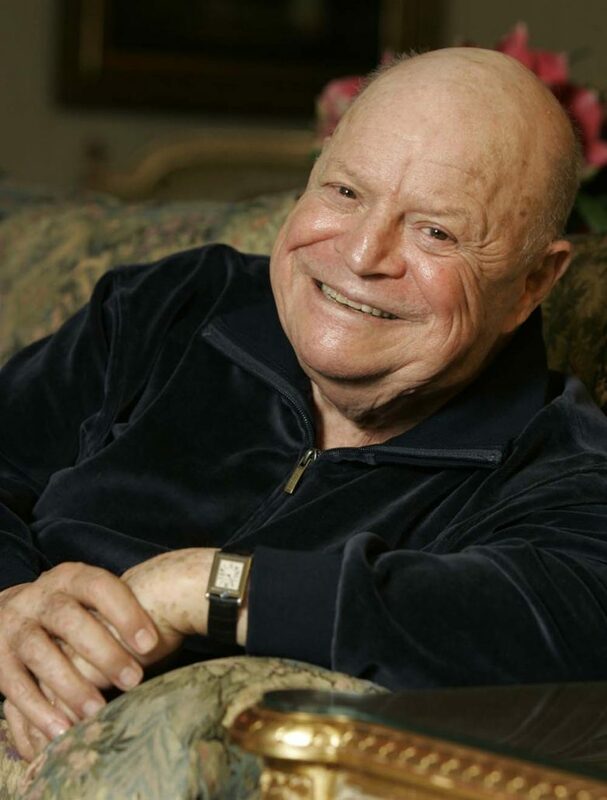 Rickles appeared in such outstanding films as “Run Silent, Run Deep” and “Rat Race.” In 1968 he had an important cameo role in “Enter Laughing,: and in 1969, he co-starred in “Kelly’s Heroes,” with Clint Eastwood, Donald Sutherland, Telly Savalas and Carroll O’Connor. Recently, he starred in the classic horror thriller “Innocent Blood,” which was directed by John Landis. He performed in high school plays and at neighborhood dances before starting to work in small nightclubs. At first, Rickles did routine “stand-up” comedy, impressions, jokes, etc. His “insult” style just happened. Two years after his discharge from the U.S. Navy in 1946, he was working in nightclubs. 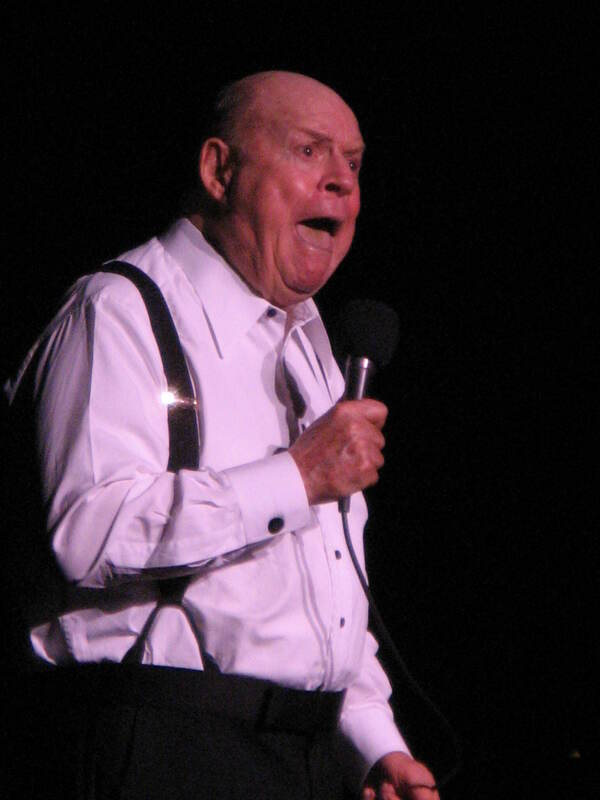 Never a great joke-teller in the traditional sense, Rickles suddenly found himself talking directly to the audience and throwing “off the cuff” lines at them. The laughs came and the rest, as they say, is history. Rickles took the “big step” on March 14, 1965, marrying the former Barbara Sklar, of Philadelphia. He recently told an interviewer, “I was a bachelor until 38. I was searching for someone with beauty and simplicity. When I finally found her, I married her.” They have a daughter, Mindy Beth, and a son, Lawrence Corey. 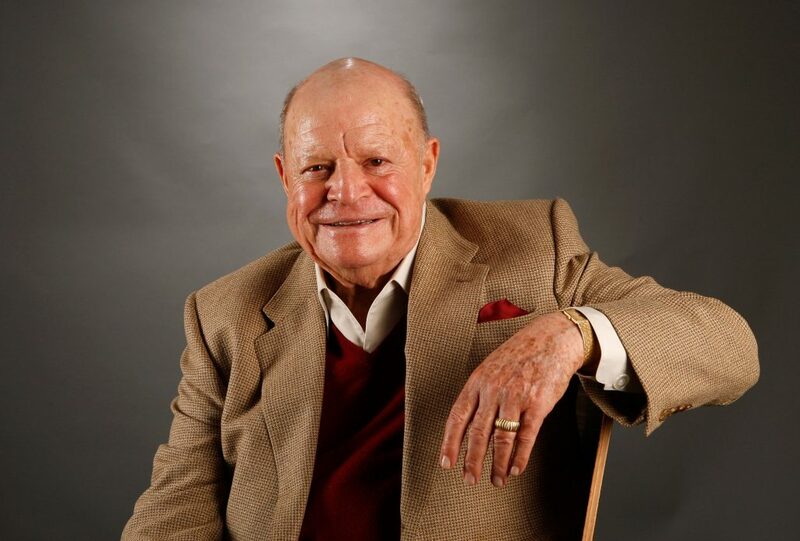 Among his proudest moments was the dedication, on February 7, 1982, of the Barbara and Don Rickles Gymnasium at Sinai Temple in West Los Angeles, California. The gymnasium was built with funds raised by Rickles and many of his star friends during a special performance at the Ahmanson Theater in the Los Angeles Music Center. To relax, Don plays a little golf, (which he complains he plays poorly) and an occasional set of tennis, and is either glued to his TV set or on his way to see a movie. He is a devotee of all spectator sports and many of his close friends are star athletes.